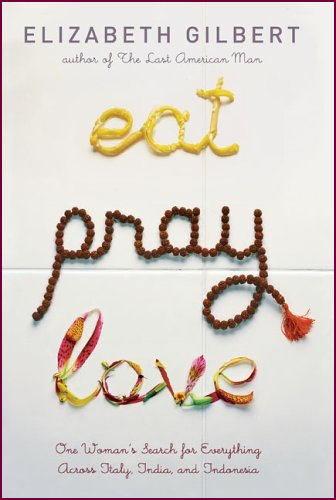 I didn’t exactly love Eat, Pray, Love. I wanted to hate it in fact, but found myself grudgingly enjoying it, mostly because of the protagonist’s ability to take an interest in other people. I think this is what people mean when they say, “Get over yourself.” She occasionally got over herself, with the result that she was able to be open to new experiences, including making new friends. This is definitely a skill I want to take with me through life. So even though I’m not a 100% fan of Elizabeth Gilbert’s first book, I’m going to take a page from it and make a personal effort toward happiness in 2011. What about you? What’s your New Year’s Resolution? This entry was posted in Book review, Writing prompt. Bookmark the permalink.